TORONTO, Tuesday, July 10, 2018 – Most people are unlikely to be part of a mission to Mars, but they will have an opportunity to view the red planet at its closest to Earth in 15 years with a little help from York University’s Allan I. Carswell Observatory and its telescopes. There will be free public viewings hosted by the observatory team at York University, who can also answer questions from the public, from July 25 to Aug. 1. 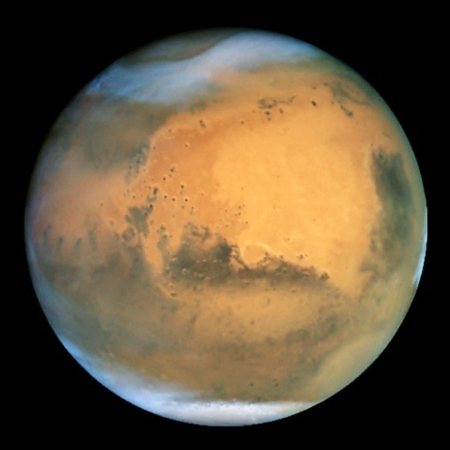 WHAT: Mars Extravaganza – free public viewings of Mars in opposition. The red planet is especially photogenic during opposition because it is fully illuminated by the sun. Depending on crowd size, visitors may also be able to take a photo of Mars with their cell phone through the 40-cm telescope. WHERE: William Small Centre (WSC) arboretum, Keele campus. See location of WSC on Map under Academic/Administrative tab.